The appeal case of Rizana Nafeek is continuing to be heard in the Appellate Court in Saudi Arabia. Rizana Nafeek, who was 17 years old at the time when she was accused of murdering a baby of four months, was sentenced to death by the Dawadami Court, despite her claim of innocence. Rizana claimed that she was an inexperienced teenager who came to work as a cleaner and in other household chores but was assigned the duty of feeding and looking after the infant, for which job she had no experience or training at all. She claimed that while she was trying to bottle feed the infant without any assistance from any adult, the child choked which resulted in the death. There was no intentional killing and she had only been working in the household for just a few days before the incident happened. After the passing of the death sentence an appeal was filed on her behalf by the legal firm of Kateb Fahad Al-Shammari within the period of appeal and thereafter she has continued to be held in the Dawadami prison while awaiting the outcome; the appeal hearing began last Saturday (8th December). While the appeal is being heard there is still reason for concern as Saudi Arabian law places high value on confessions and whether the confession is obtained through duress does not become the subject matter of a separate inquiry. Under this system a confession obtained through duress is not regarded as inadmissible evidence. Rizana Nafeek was handed over to the police immediately after the alleged incident and a confession was obtained from her by the use of torture. She later retracted this confession in court and explained the circumstances of the incident, explaining that it was an accident rather than a crime. However, the original court sentenced her to death on the basis of the confession she made at the police station as under this system, such confessions are given greater weight than any subsequent explanations. Therefore there is still the possibility that this legal principle may be applied even at the appeal stage despite of there being no collaborative evidence of any sort to indicate that there was any intentional murder. There are many persons in Saudi Arabia itself who have made representation in favour of Rizana Nafeek in this case and have stated many principles within Shariah Law to the effect that under the circumstances of the present case there is good reason not to attach undue weight to the confession but that all the circumstances should be taken in their totality in dealing with the case. Rizana Nafeeks case drew global attention and tens of thousands of persons have written letters to His Majesty, King Abdullah bin Abdul Aziz Al Saud. The global media has also highlighted the case consistently. In Sri Lanka too, there is high mass alert over this case. The Asian Human Rights Commission urges all concerned persons to continue to appeal on behalf of Rizana Nafeek to His Majesty, King Abdullah bin Abdul Aziz Al Saud for clemency and pardon. We also urge the media and the human rights community to keep up a continuous vigil on this case. 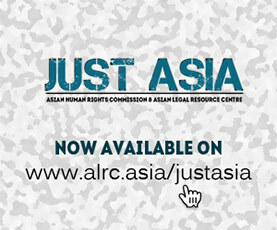 It was the support of many persons that made it possible for the Asian Human Rights Commission to assist in the financing of the legal fees for the appeal on her behalf to higher courts in Saudi Arabia. The continuous appeal to His Majesty the King, is necessary despite of the legal efforts being made on behalf of Rizana as His Majesty has the authority to pardon her.